Healthy City St. John’s is local healthy communities’ movement, which began when the City of St. John’s recognized the opportunity to take a collective impact approach to improve the health, safety and inclusion of all residents. There is no one framework for a healthy city, each is based on local input and concerns of residents. In 2017, a group of invested individuals started a conversation about Healthy Communities. As a result, the City of St. John’s delivered the first Healthy Communities Forum, bringing together over 100 professionals with diverse backgrounds, with the common goal to improve people’s health. 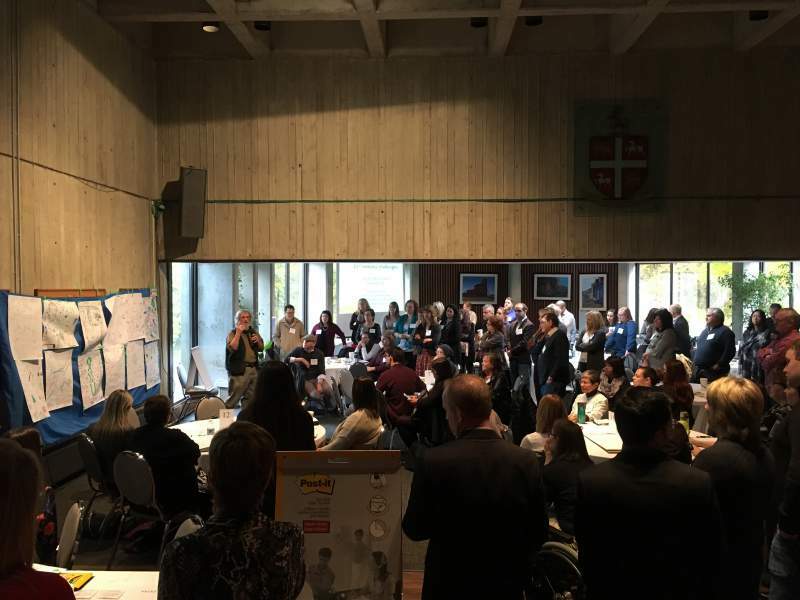 Working together across sectors to build healthier futures for everyone in St. John’s and the Northeast Avalon was the starting point for change. The City of St. John’s has taken the lead in the development of the Healthy Communities – Northeast Avalon Alliance. The infographic above outlines the pillars of a healthy community – these are the priority areas heard at the Healthy Communities Forum. This infographic highlights the overarching pillars that will be guiding the Healthy City movement in St. John’s, and on the Northeast Avalon. These pillars capture the priorities used in municipal plans, such as the City of St. John’s Envision Plan, provincial plans in Newfoundland and Labrador such as The Way Forward, and concepts from federal plans, such as Designing Healthy Living from the Public Health Agency of Canada.